Companies make updates to their logos all the time. Some even spend 7 figures on the process. Why? Because you don't want the identity of your company looking like it should be hanging off the trailer hitch of a 4x4 diesel truck with a second amendment sticker on the tail gate. 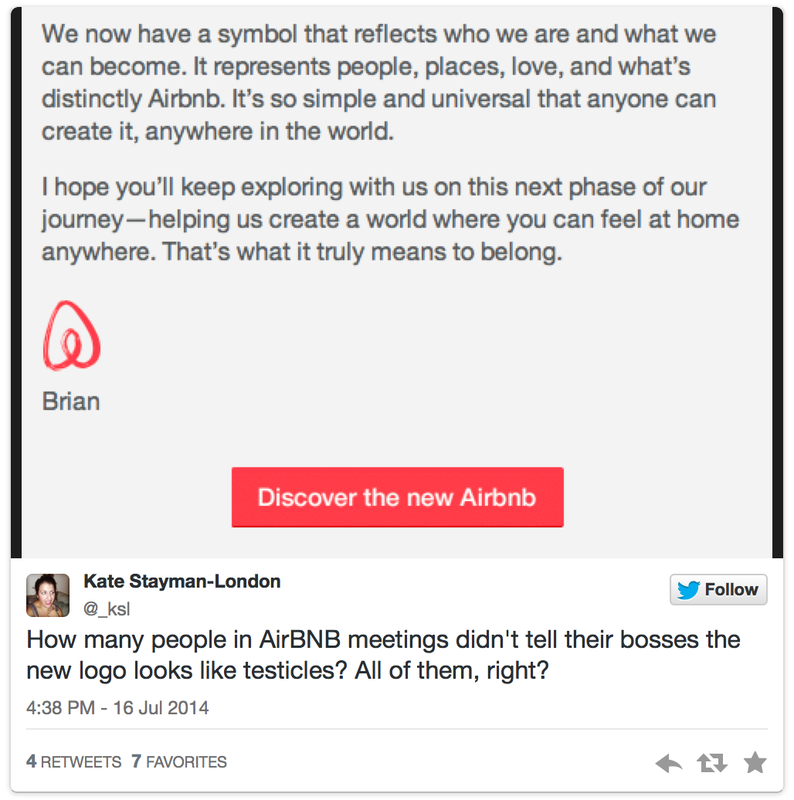 Airbnb forgot to ask the Twitter hive mind what they thought about the logo.